Snow, bad weather for our friends in the Southern Hemisphere, cabin fever…I have the solution!! 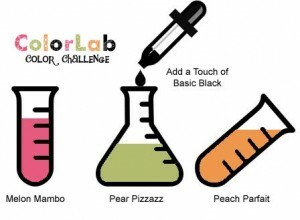 Bright, happy colors from ColorLab!! At least your little stamping corner will have sunny weather. As you can see from my previous card, the weather was affecting my stamping mood. This color palette shook me right out of the icy colors. 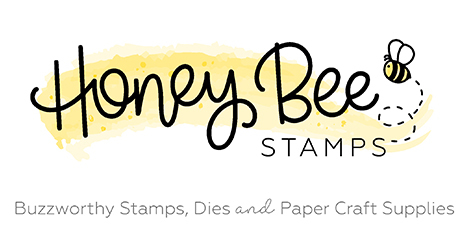 After spending so much time with Funky Four on last weekend’s Stampin’ Addicts SAB Blog Hop, you would think I’d be done with that set. But no…out it came again. I’m so excited that you can earn it FREE with your $50 order!! Of course, who can stop at just one of those free choices…believe me, I couldn’t. My own free sets should be arriving later today so you can expect to see projects with them next week. Ok, I digress. Today’s card came together so quickly and is perfect for a little teacher note I need this week. All I had to do was stamp the leaf image in the three colors and pop on a sentiment from the Apple Blossoms Hostess Set. The striped paper is from the Brights Designer Series Paper Stack. What a handy pack of paper to have!! I seem to be using it all the time. The final touch was a black button with a little bit of Peach Parfait thread. 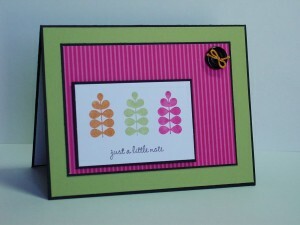 Just take a little bit of white thread and color it with your Stampin’ Write Marker. The sketch comes from the Splitcoaststampers Sketch Challenge this week. I love the off-center panel and how it steps up a basic layout. I can’t wait to see what you do with the colors this week! Don’t forget to go see what the other Color Chemists have concocted (say that three times fast). I’ll be back next week with a new SUO Challenge. Have a happy and safe weekend! This is so cute and what a great colour combo! Those are bright, fun colors! What a cheery card! So pretty and fun!! What a great use of the colors! Fun card!!! I love this color combo. I can’t wait to play along this week. *Giggle* You said “My own free sets…” I had to LOL, since I earned free setS, too. 😉 I really, really like how the button balances the offset panel – it really works (as do the colors, remarkably enough)! OMGosh, this is too cute! 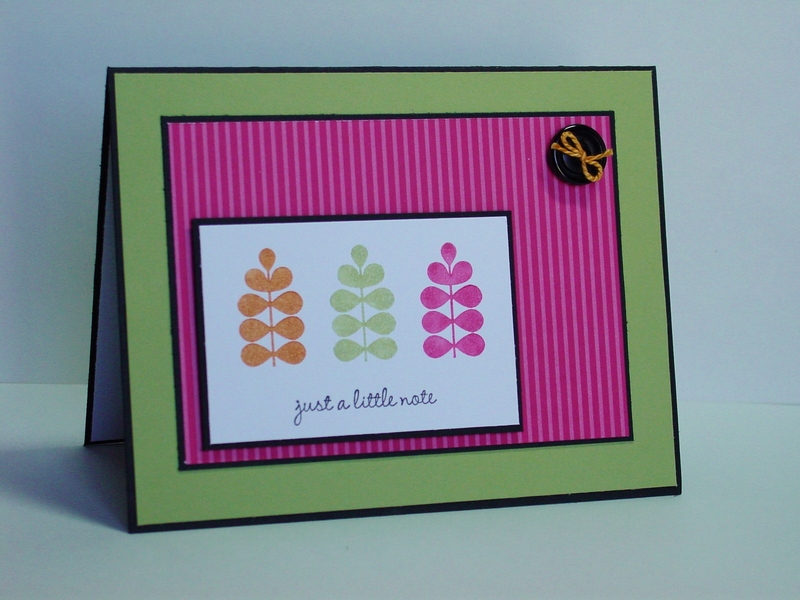 Love those little trees–this set had not received enough inky love in my craft room! I love how you’ve used the colors here and the sweet little button balances everything perfectly! 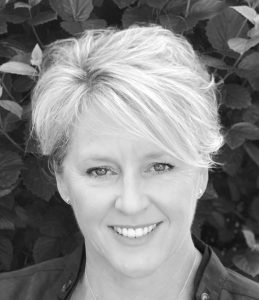 Thanks for leaving a comment on my blog today! Love it! So bright and cheery!! I love this layout with these colors! Fabulous! Love it! Simple is good. The colors do brighten up this winter dreariness. Great card for such an awesome color combo! 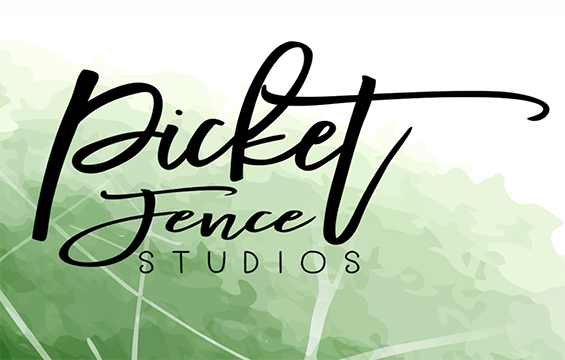 Love the simplicity of the design and the wow that you added to it. I love the way you used the colors. It definitely looks Springy.